Additional bandsets can be purchased here, you can purchase standard sets and custom sets (flat or tubes). All straight bands are approximately 10 inches long so the individual can trim to their desired length. Target: Theraband Gold, single layer, tapered from 1" to 0.75"
Hunter: Theraband Gold, single layer, tapered from 1.25" to 1"
I will make custom bands on request. I have several material options, use the diagram and options to customize your band choices. If there are options that don't fully describe the bands you want please contact me by email. 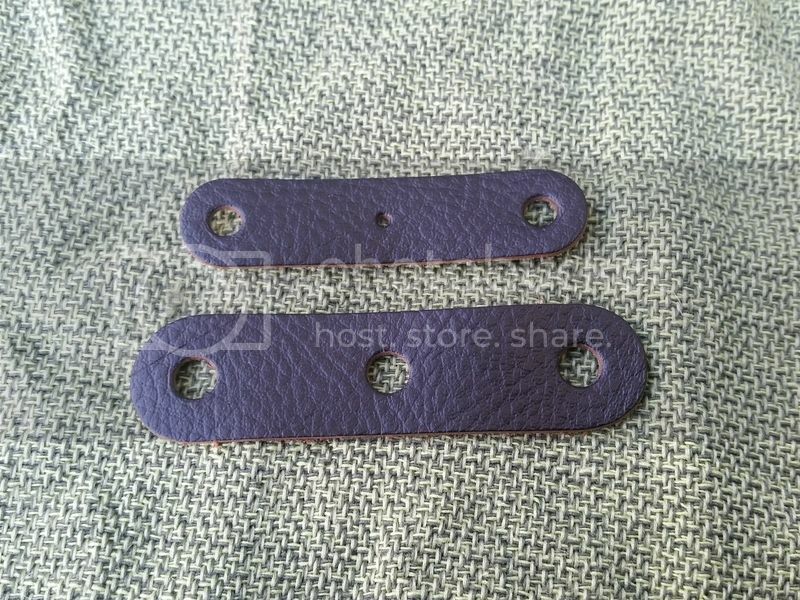 The cost per custom flatband set is 6.00 USD. Enter your dimensions in inches, for example a band entered as (0.75, 1.0, 8) would be 0.75 inches wide at the pouch, 1 inch wide at the fork and 8 inches long. I will make custom tube bands on request. I have several material options, use the diagram and options to customize your band choices. If there are options that don't fully describe the bands you want please contact me by email. 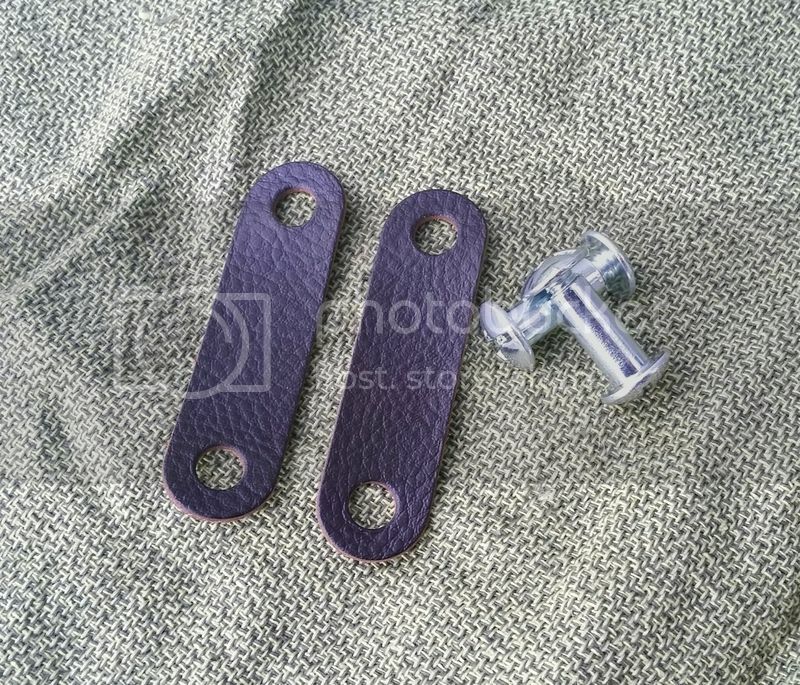 The cost per custom looped bandset is 6.00 USD. Enter your dimensions in inches. I do not make pseudo-tapers at this time. 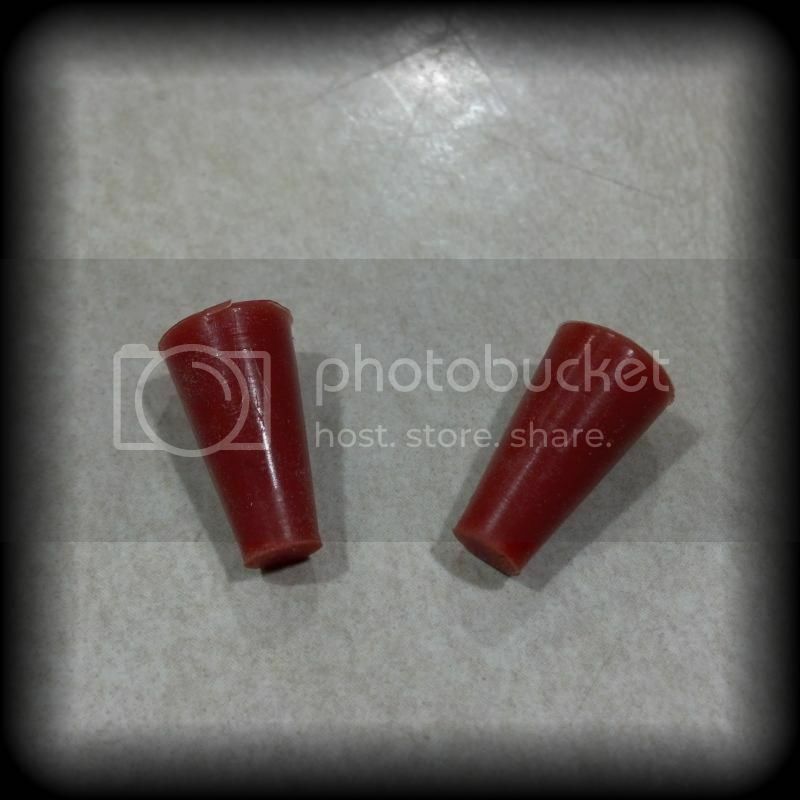 NOTICE: These bandsets are latex, if you have a latex allergy take caution. Extra set of plugs for the Versa-fork attachment. Tabs for shooting looped tubes with 5/16" holes in the fork. 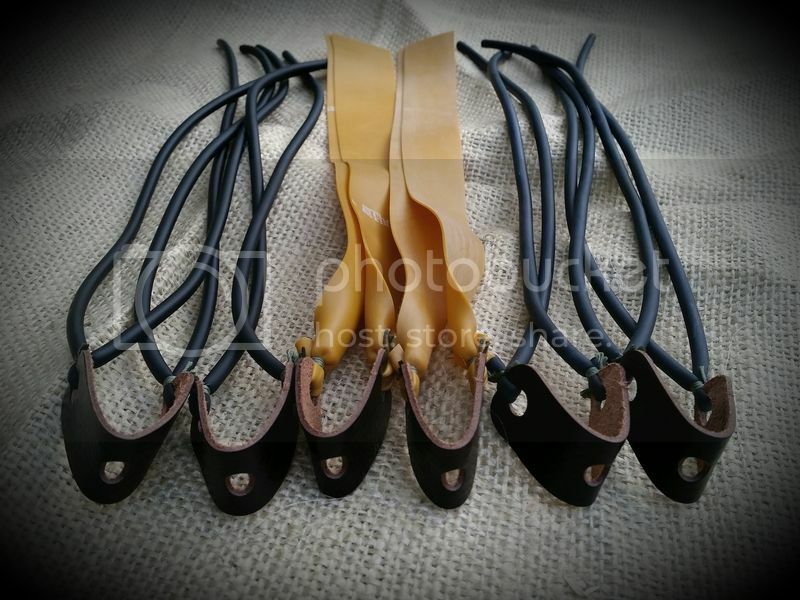 Each set comes with a pair of threaded posts and a pair of leather tabs. 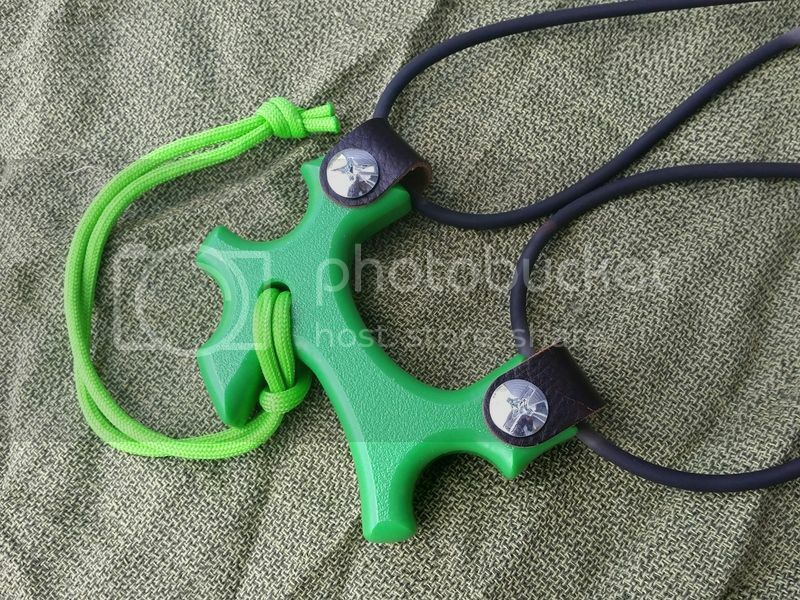 Example of slingshot with leather tabs for shooting looped tubes.